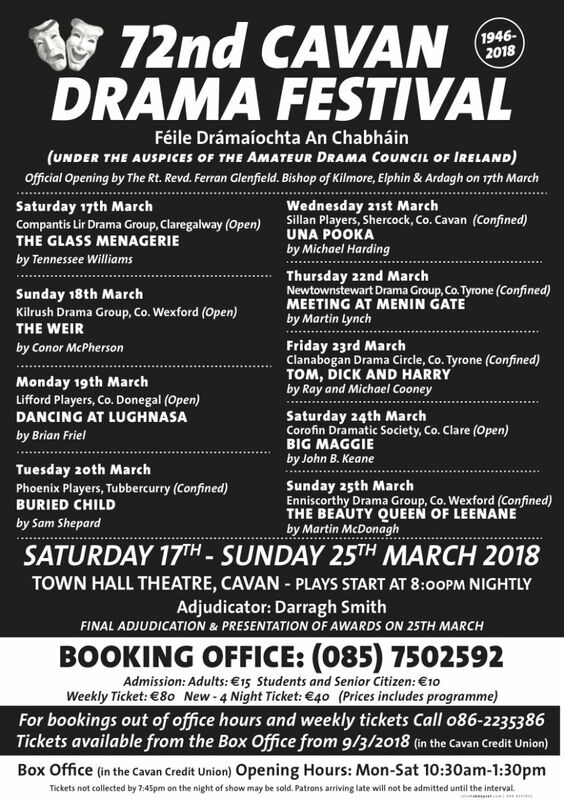 The first Cavan Drama Festival ran from March 24th to 31st 1946 – making it the second longest running in the country with Tubbercurry just one year older. 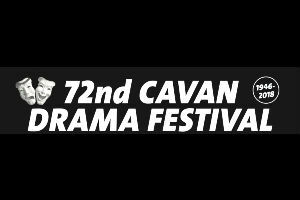 This year we look forward to the 72nd Festival but with an eye to the future… and the realisation that in just three years time, this tenacious, dramatic endeavour will celebrate three quarters of a century promoting amateur drama – Cavan should be rightly proud! The minutes of the Festival Committees – recorded in pencil until 1952 - wonderfully reflect the history of our town and country. During the first Festival 16 of the 34 plays were in Irish and admission was 12/6 - about 79 cent. Many who trod the stage over the years went on to become household names - Gerry Stembridge, Moya Doherty, Brendan Gleeson all came to Cavan to play their part. The Festival has filled hotel rooms and restaurants (and the occasional barstool) and enticed those that might never have passed this way to come and come again.